A nice little funk album from Eddie – one that shouldn't work, but does nicely, thanks to a unique approach to the groove! Eddie's still playing plenty of electric sax on the set – and is going for a sound here that's equal parts soul jazz, modal groove, and down and dirty funk! The album kicks off with the catchy vocal number "I Need Some Money", which features a chugging Varitone groove in the background. 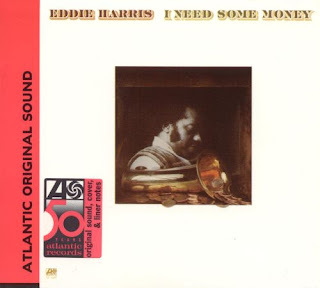 Other cuts mix up funk and soul, and add in touches of the "electric rhythm machine", which was heard on a few earlier Harris albums for Atlantic. Very strange, but strangely nice – and with the cuts "Bumpin", "Get On Down", "Carnival", "That's It", and "Time To Do Your Thing".